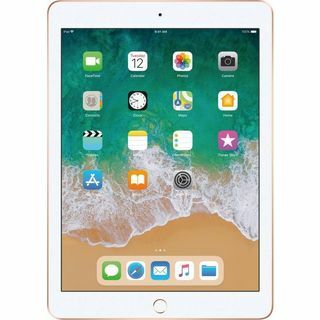 The lowest price of Apple iPad (6th Gen) 32 GB 9.7 inch with Wi-Fi Only (Space Grey) is at Flipkart where is it is for INR 0. This price is INR 27559 lower than the other price for the product. The prices for the product change across variants. The price for Apple iPad (6th Gen) 32 GB 9.7 inch with Wi-Fi Only (Space Grey) is valid across Bangalore, Hyderabad, Chennai, Mumbai, Delhi, Pune and Kolkata. The Apple iPad (6th Gen) 32 GB 9.7 inch with Wi-Fi Only (Space Grey) is available at best price of INR 0 on Flipkart. 20 years ago when I had just started photo editing I struggled on a windows pc with Corel photo paint while my competitors were working on a Mac pc and Adobe photoshop, I simply could not afford a Mac, it was way beyond my reach. I used to envy the Mac guys and the speed with which they worked. The cost of a Mac was in lakhs. Now I am 60 and retired and I still cannot afford an apple product. Recently the iPad 2018 was launched and the 32 gb wifi model was around Rs.27000 the price looked tempting. I read many reviews, some wrote that there is gap in the display others wrote that the glass is not laminated and so on and so forth. My spirits were a bit dampened. I thought here is an apple product which somehow has come close but not too close within my reach and these rich guys who may have handled many an iPad before in their lives were trying to discourage me. Also I found out that there was a no cost EMI offer, oh heavens! the temptation was too much. I said to myself nothing doing, if there are any flaws in this iPad okay fine I will at least have something to discuss with Steve Jobs when I meet him in a few years or even days from now who knows. So I purchased it and have no regrets whatsoever. The screen was a joy to behold, I have never seen such a good display before. The touch is butter smooth the speed of the processor is fine, I have no complaints whatsoever. Finally I thank Apple for bringing this iPad closer to my budget, to Steve Jobs for designing it and to Flipkart for delivering this wonderful bundle of joy.